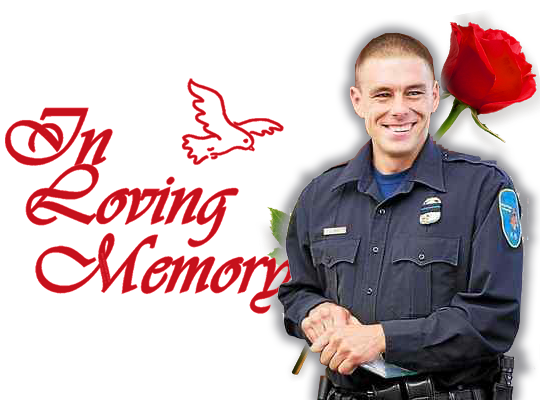 In 2016, the residents of Richland, Michigan lost one of our most valuable police officers in the line of duty. The Rose Run started to honor Officer Collin Rose and all police officers who have lost their lives in the line of duty. The Rose Run is actually based off of an event that started nearly a decade ago by a group of passionate citizens. They found a way to combine their love for running and connecting with the community in an annual road race. In the wake of Sgt. Collin Rose's death, our organizers took this race over in his honor. Reach out to our organizers to learn more about this Summer's 5K and 10K races. Honoring those who were loyal participants of The Rose Run. It is with a heavy heart that one of our favorite loyal runners lost his battle with cancer. David Creamer endeared himself to us when he proudly told us that he was going to run our 10K (his first 10K) to celebrate his 80th birthday. It was a hot race but he persevered and finished! Last year at age 86 he wanted to participate but was very weak from his treatments. He asked if he could do part of the race with his golf cart. His friends and family all joined in the race to show him they supported him and his battle. We ask that you keep his friends and family in your thoughts and prayers. We'll miss you Dave. We at The Rose Run are greatly saddened at the news of Jill's passing. She helped every year with the race on July 4th. Her loyalty didn't waver with the cause and many local needs the race supported through the years. We will miss her smiling face now and especially at the medal table next July 4th. In addition to honoring the life of Sgt. Collin Rose, we launched The Rose Run to bring awareness to police officers who have fallen in the line of duty. We at The Rose Run are honored to "back the blue" on July 4, 2017 and remember a valued community member. Would you like to learn more? Read through the Rose Effect page on our website to learn more about our charity.